The folds in the space-time are unveiling their breaches and very soon, once again, two worlds will come into contact, through a portal of which few, very few now remember the existence. Only then the sacred Vestals can evoke the woman who will lead in battle, against the terrible Sous Empire, the Neteas, the beautiful female warriors of Endora ... But this is also known to the Emperor, Baal Goran III, who swore on the name of his ancestors to conquer the lands on the other side of the Ocean Davinarreo ... He also knows that, in order not to fail, this time he will have to unleash all the power of his empire. And he will have to accept alliances very, very dangerous, but capable of opening, for him, the doors of Endora. Followers of blasphemous rites, implacable demons, never subdued entities and specters murderers will rush to the side of the Emperor; all greedy for blood, power and revenge. 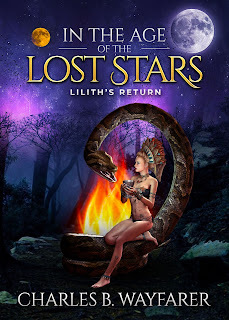 And with them the most feared sorceress of all: the mysterious, sensual and evil Lilith.